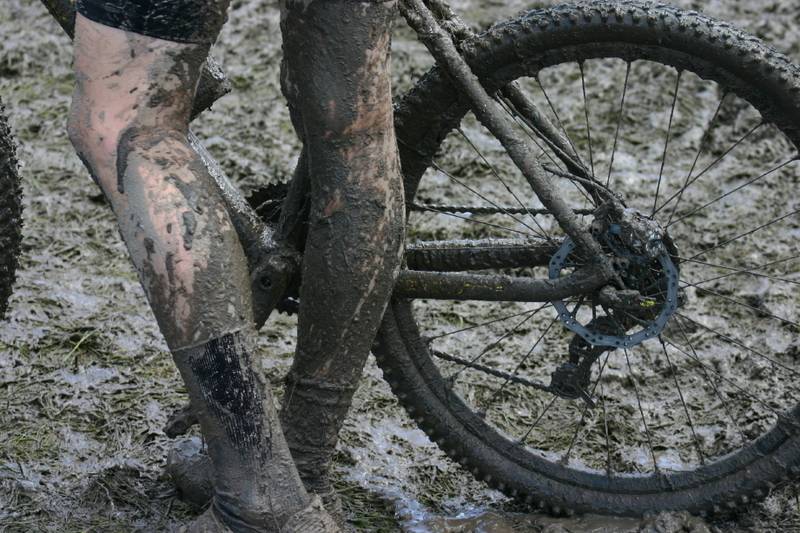 Localization Maturity Model: Are You Stuck in the Mud? How mature is your localization process? Are you feeling pressure to improve things and running into resistance from other departments and managers in your company? Maybe it’s time to ask your vendor for some help in getting to the next level. In this blog post, we will talk about the Localization Maturity Model (LMM) and show you how partnering with the right language services provider can help grow your localization capabilities. This way, you and your team won’t have the daunting task to build and fix everything yourselves. But first, let’s take a look at the LMM. 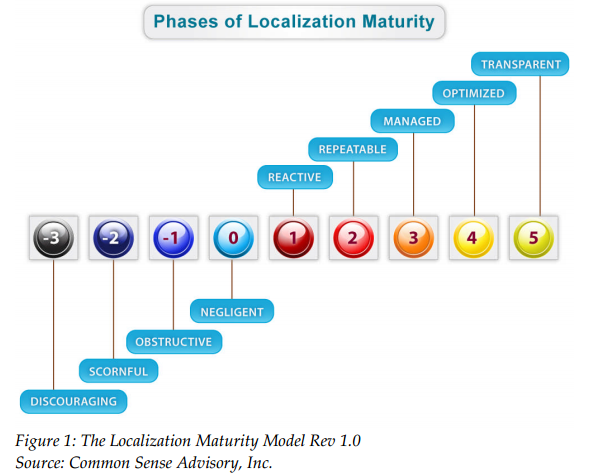 Common Sense Advisory (CSA) came out with the Localization Maturity Model in 2006. The LMM is a way for companies to see where they are in terms of their localization maturity and how to move on to the next level. The model speaks mainly to the buyer-side of localization and is based on research that CSA conducted with almost 200 of the tech industry’s leading companies. From our experience, we have seen a number of our clients look at the LMM and then come to the conclusion that their processes could use some work. While they see the value in innovating their processes and workflows and becoming more efficient, many of them do not have the staff, technical resources, budget, or time, to make the needed changes themselves. Reactive: ad hoc workflows, unclear roles and responsibilities, localization gets done when it needs to and there is not much planning or foresight. Implement intuitive and repeatable workflows. Our MyMediaLocate client portal automates handoffs, reviews, and offers a real-time dashboard on project status and costs. The portal is free of charge for all of our clients. Repeatable: some basic workflows emerge, stemming from processes used in other industries; vendors start being used regularly at this level. Deliver best practices such as translation memory and terminology management tools and consult on localization workflows. Provide basic training and documentation for the client’s localization team and immediate stakeholders. Managed: workflows and responsibilities are documented, localization tools are being developed, localization is being managed at various areas in the company and with various suppliers. Develop automation scripts and tools, consult on tools and technology selection such as machine translation and run pilot projects to test the workflows. Work with in-country resources to enhance localization awareness and best practices. Optimized: standards are followed throughout the company, more related tasks are formalized and documented, tools and services are shared across the company, localization is starting to emerge as a central corporate function. Fully automate repeatable processes and help the client move to industry-leading localization management and reporting systems. Provide strategic planning services to help grow international product expansion, and help manage the total vendor supply chain. Transparent: globalization is seen as a central function in the company and is included as a key part of all product and marketing release planning; there is a process of continuous improvement, scalability across the entire company and all international efforts. Become an upstream partner in the overall globalization effort: provide managed services such as staff augmentation, in-country review management, international business intelligence, and help source in-country marketing representation. 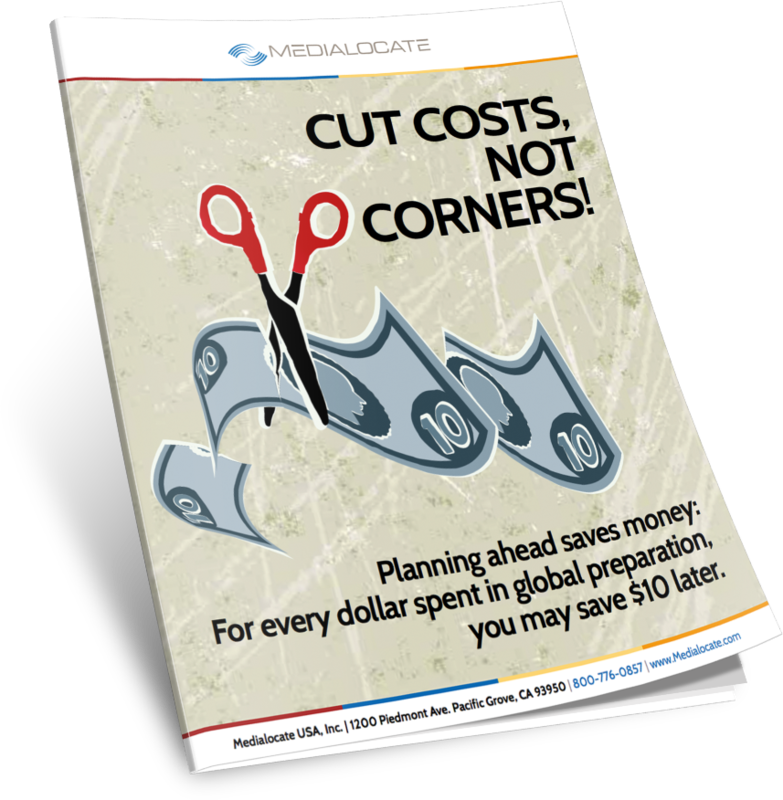 Want to learn more about how MediaLocate can help your team become an industry-leading localization force? Give us a call at 1-800-776-0857. Learn Ten Steps For Saving Your Localization Dollars.